Designed for SAGA There are 10 products. ColorED edition scenery set. 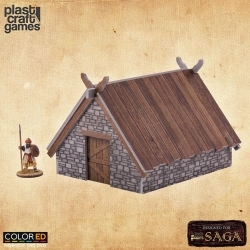 The Deser Dwelling set is officially designed for SAGA so it has made to fit perfectly with the aesthetic of Medieval or Fantasy 28mm war games. This type of adobe building remains unchanged since Middle Ages, so this building could fit in any contemporary desert game table. ColorED edition scenery set. 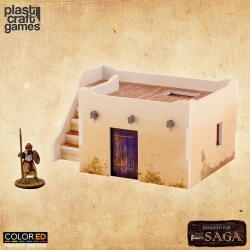 The Desert Dwelling with Stairs is officially designed for SAGA so it has made to fit perfectly with the aesthetic of Medieval or Fantasy 28mm war games. This type of adobe building remains unchanged since Middle Ages, so this building could fit in any contemporary desert game table. ColorED edition scenery set. 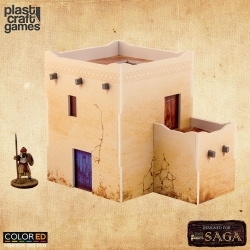 The Desert Building Set is officially designed for SAGA so it has made to fit perfectly with the aesthetic of Medieval or Fantasy 28mm war games. This set includes two different buildings. This type of adobe buildings remain unchanged since Middle Ages, so these buildings could fit in any contemporary desert game table. ColorED edition scenery set. 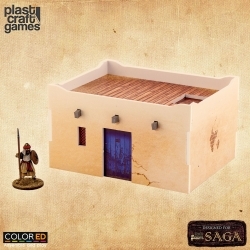 The Two-Story Desert Dwelling is officially designed for SAGA so it has made to fit perfectly with the aesthetic of Medieval or Fantasy 28mm war games. This type of adobe building remains unchanged since Middle Ages, so this building could fit in any contemporary desert game table. ColorED edition scenery set. 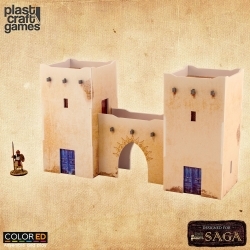 The Arab Village Entrance is officially designed for SAGA so it has made to fit perfectly with the aesthetic of Medieval or Fantasy 28mm war games. 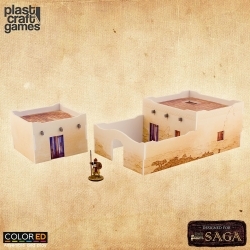 This type of adobe building remains unchanged since Middle Ages, so this building could fit in any contemporary desert game table. ColorED edition scenery set. 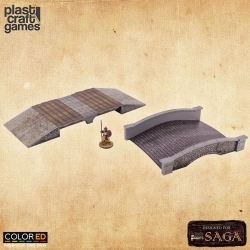 The Medieval Bridges set is officially designed for SAGA so it has made to fit perfectly with the aesthetic of Medieval or Fantasy 28mm war games. This set includes two different bridges. ColorED edition scenery set. 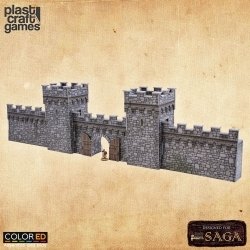 The Defensive Wall is officially designed for SAGA so it has made to fit perfectly with the aesthetic of Medieval or Fantasy 28mm war games. ColorED edition scenery set. 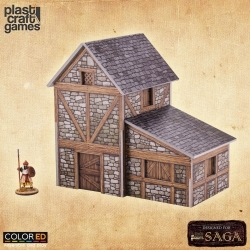 The Medieval Dwelling is officially designed for SAGA so it has made to fit perfectly with the aesthetic of Medieval or Fantasy 28mm war games. ColorED edition scenery set. 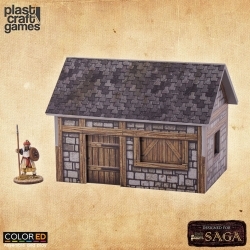 The Two-story Medieval Dwelling is officially designed for SAGA so it has made to fit perfectly with the aesthetic of Medieval or Fantasy 28mm war games.